George qualified from the University of Southampton, and having always had a keen interest in musculoskeletal injuries, was approached to move into private practise. He had a broad range of roles, including ward and outpatient clinics in a private hospital, in addition to joint clinics with consultant orthopaedic surgeons. He was also first team Physiotherapist with Portsmouth rugby club and worked in satellite gym based clinics with the opportunity to work closely with a wide range of people from professional athletes, to office workers with postural aches and pains. George has always been keen sportsman, particularly rugby, cricket and tennis. This has given him a keen interest in sports injuries, and he enjoys the opportunity to return people to the activity or sport they love. George is also qualified in Pilates and dry needling. 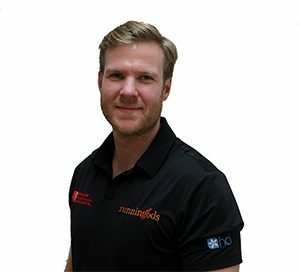 He likes to approach treatment with a combination of manual therapy skills, movement education and exercise, trying to look at the whole body and taking a slightly more holistic approach to physical rehabilitation.